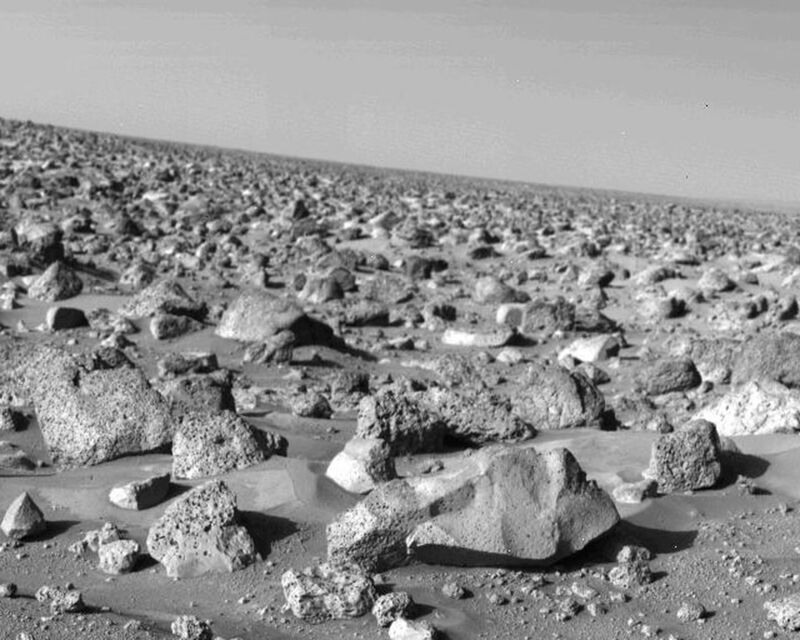 The rocky Martian plain surrounding Viking 2 is seen in high resolution in this 85-degree panorama sweeping from north at the left to east at right during the Martian afternoon on September 5. Large blocks litter the surface. Some are porous, sponge-like rocks like the one at the left edge (size estimate: 1 1/2 to 2 feet); others are dense and fine-grained, such as the very bright rounded block (1 to 1 1/2 feet across) toward lower right. 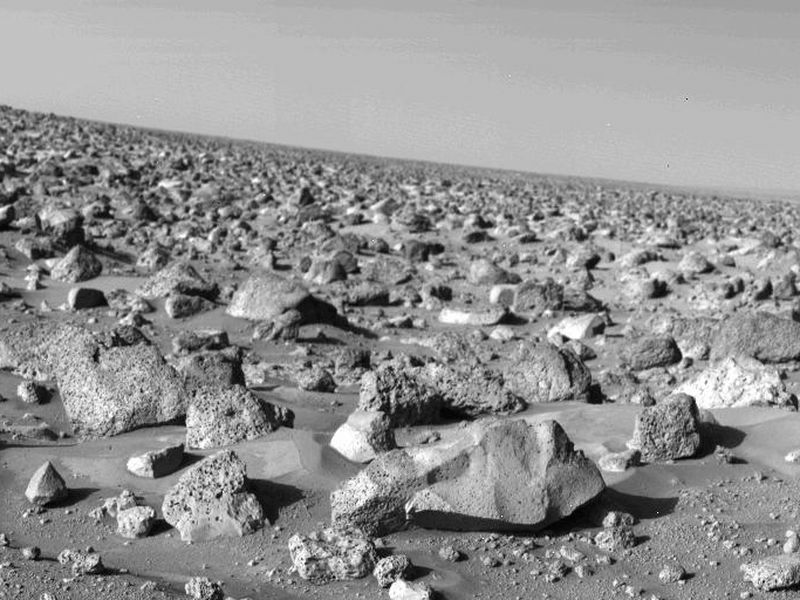 Pebbled surface between the rocks is covered in places by small drifts of very fine material similar to drifts seen at the Viking 1 landing site some 4600 miles to the southwest. 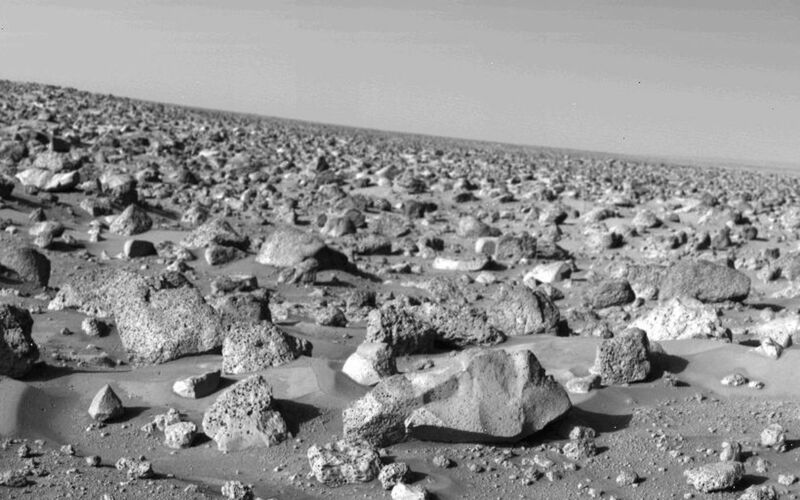 The fine-grained material is banked up behind some rocks, but wind tails seen by Viking 1 are not well-developed here. On the right horizon, flat-topped ridges or hills are illuminated by the afternoon sun. Slope of the horizon is due to the 8-degree tilt of the spacecraft.